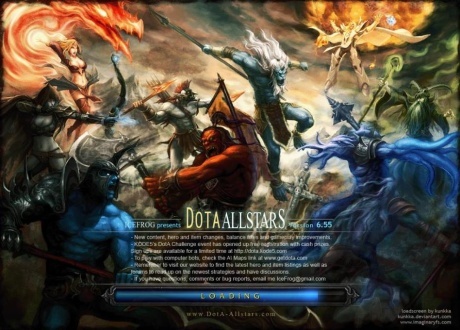 DotA Allstars 6.62 is released. IceFrog had to rewrite it’s code due to Warcraft 1.24 new security system. 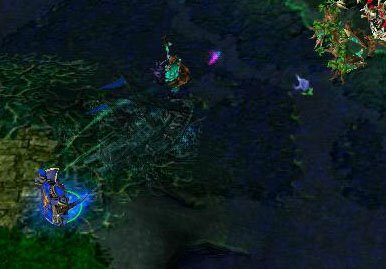 DotA 6.62 and further more map versions will work only on patch 1.24, because now it’s core code uses features which absent in earlier Warcraft 3 patches. Check my blog at http://www.playdota.com/forums/blogs/icefrog/ if you want to know more about 1.24 and 6.62. Because of the amount of new code in this patch, I recommend tournaments wait at least a few days before adopting it. Latest DotA Allstars 6.57b map version fixes some critical issues. This DotA map can be next stable version that will be used in leagues, tournaments etc. So, new version is released. We didn’t wait it as long as previous and there’s not so much major changes. Most of imporves is bug fixes or light nerfes. It’s time to get DotA 6.57 and try it out. Dota Allstars 6.55 (Beta): New Hero Guide – Kunkka (Captain Coco), The Admiral Proudmoore. Kunkka (Captain Coco) The Admiral Proudmoore Guide, Dota 6.55 New Hero (Beta). I love this hero, so much cooler than Goblin Clockwerk ^-^ With Alleria the Windrunner, they are both Sentinels new ammunition. This hero is Strength type and has some good skills to support his physical attack. The most cool skill is his second one, ulsing a ghostship to draw the enemies if they try to escape. His first skill when activated make you have splash damage. His third skill is mark the spot,marks a hero and leaves an X in its area, after a few seconds(not sure how many) the targetted hero moves back to the X mark. His ultimate gives 2x critical for several seconds, realy neat to kill a hero quickly. 1 second after tide bringer when activated, it will deal about 300 damage to units in a 220 radius. After damage is dealt, it gives Kunkka an extra 60 damage and an 100% cleaving attack which affects units for around 500 distance. However, this buff only lasts for 8-10 seconds or 5 hits (Like Ursa’s Overpower) Great for farming. Slows enemies hit with the ship and draws them closer. Marks a hero and leaves an X in its area, after a few seconds(not sure how many) the targetted hero moves back to the X mark. Use this to make the blinker enemy cannot escape. When you cast the spell, the targeted ally hero gains 20% bonus ms and a high (100%?) chance to crit for 2x damage. This buff lasts for about 5 seconds. Use it to kill enemy, combined with Mask of Madness, i think this skills is really great. Credits: kiwon14, JBnev3rEnD, redrach, pluginbaby and all the contributors. - Forge Spirit: cooldown 70->30, manacost 200->75, casting with ones already on field kills old ones. Improved visual look slightly. If both elements are level 4 or higher, double spawn. - Alacrity: Is now WWE, cooldown 20->15 Duration 5->6, manacost 125->50, Original IAS: 40/60/80/100/120/140/160. New IAS: 30/40/50/60/70/80/90. It now gives damage as well: 20/30/40/50/60/70/80. - EMP: changed to pure Wex ability, WWW. 0.5 HP lost for each mana drained. Tweaked various other aspects such as cast range and manacost.